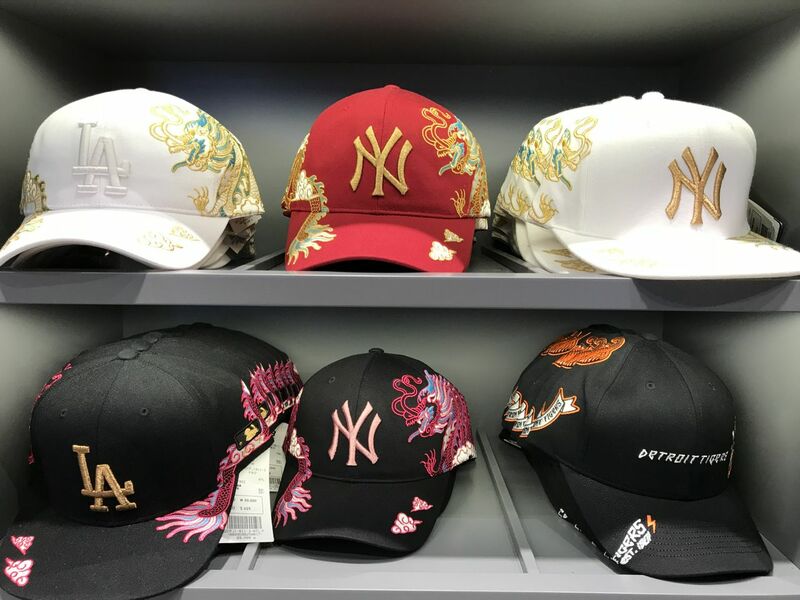 The Fragrant Harbour: Baseball Caps for How Much? Last Friday afternoon two areas of the Times Square shopping mall in Causeway Bay were filled with screaming teenage girls. 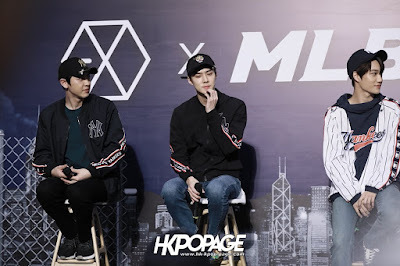 The main atrium and downstairs in the basement were clogged with raging hormones, as these school-aged girls were super excited to see their favourite K-pop or Korean pop group EXO. EXO was in Hong Kong for the opening of MLB -- a Korean sports wear brand promoting Major League Baseball merchandise, and the band members' faces (Chanyeol, Sehun and Kai) were all over ads wearing baseball hats and shirts. The first day of sales must have been astronomical as there was a very long line to get into the store. 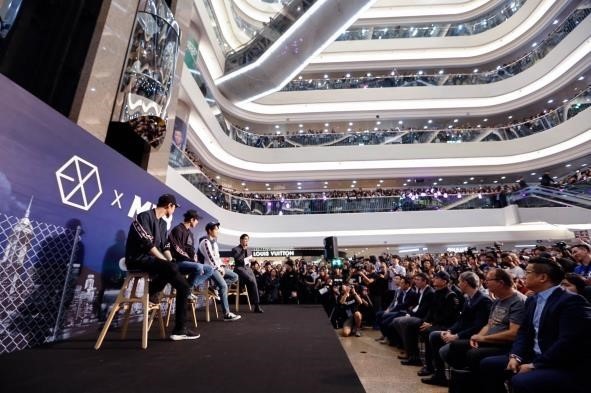 However, MLB is really keen on establishing its presence in Hong Kong, with not one, but three stores, including a large one on the ground floor of a new building on Queen's Road Central that houses mostly art galleries. Really bling-ed out baseball caps... interested? After dinner in Times Square, my friend and I checked out the MLB store, but there were hardly any customers. There were lots of baseball caps for teams like the New York Yankees, New York Mets, Chicago Cubs and Detroit Tigers to name a few. These ones pictured right in particular caught our eye -- they were so bling-ed out we had to laugh. 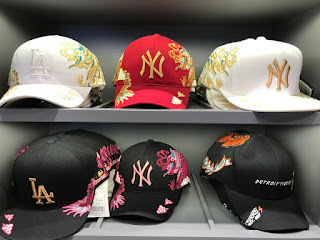 The baseball caps not only had the New York Yankees initials, but also intricate embroidered dragon designs on both sides that were obviously catered to the China market. There was even a hot pink dragon version for the female baseball fan. The price? HK$619 (US$78.87). Would you buy a baseball cap for that much?